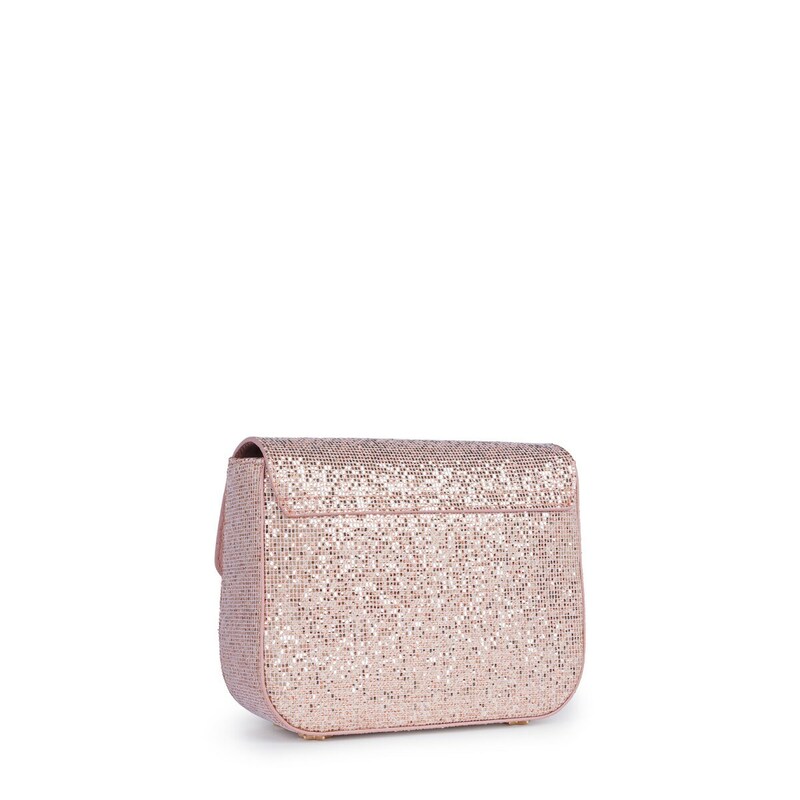 Long live glitter mania. It makes a basic accessory the key to success. 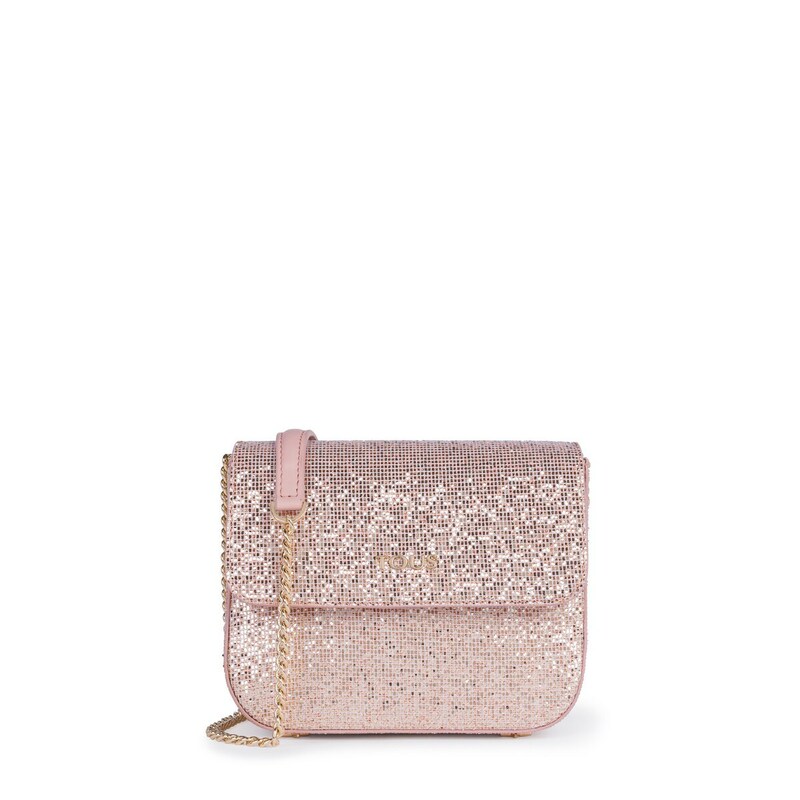 Small TOUS Rene crossbody bag in pink vinyl. Flap closure with magnetic button. 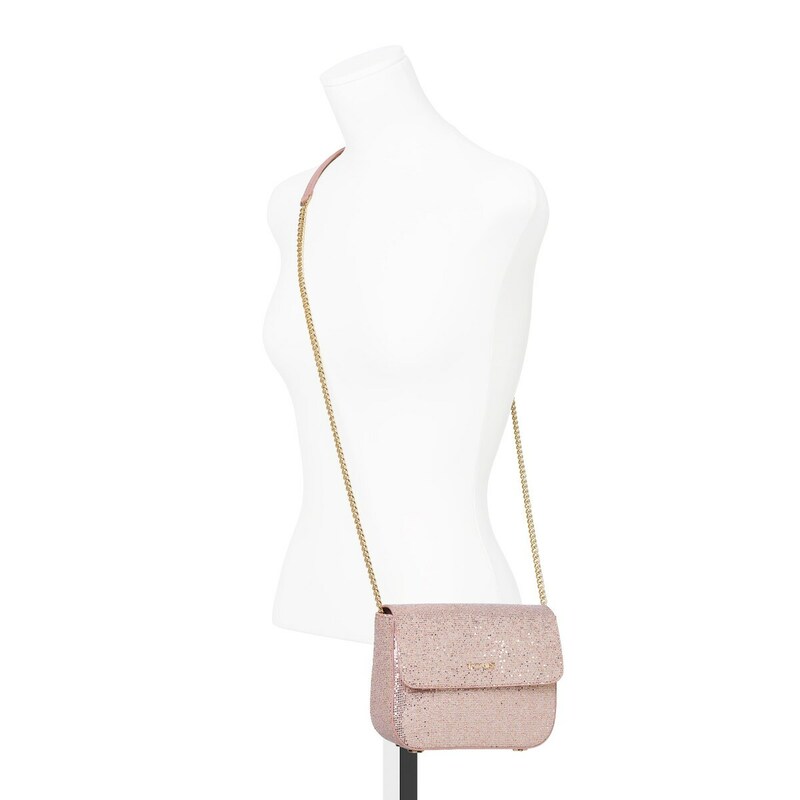 Crossbody strap with chain in pale gold colored finish. One interior pocket. Measurements: 17x23x7.5 cm.